Mindfulness seems to be less a case of mind over matter than mind over emotion. 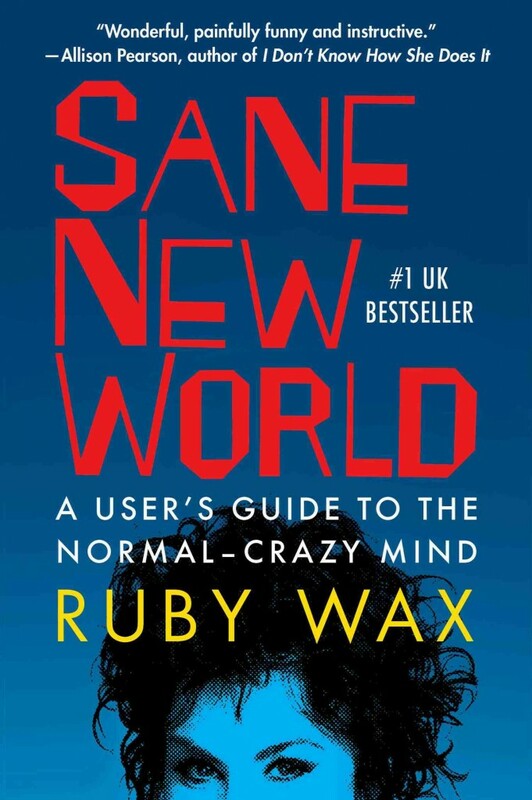 In this entertaining introduction to neuroplasticity, mental illness, and coping with the tricky business of being, Ruby Wax outlines the potential benefits of employing a mindfulness-based approach to life. The Sane New World of the title is the other side of mental illness, the world beyond what can seem insurmountable to the one in four of us who live with recurring emotional difficulties. The secret? You can change your mind. Sane New World is both self-help and a personal account of life with mental illness. Wax is an American comedian who’s had a prolific career in the UK as a stand-up, script editor (for Absolutely Fabulous), interviewer (check out her program on O.J. Simpson) and TV personality. But as she points out in the early pages of her book, her busyness may not have been an entirely good thing. “You could say that multitasking has driven us mad,” she writes; “like having too many windows open on your computer, eventually it will crash.” The need to be so busy is a symptom of affluenza, as is the rampant, uncontrollable consumerism she identifies in herself — a sequence in which she stops a taxi seven times on a quest to find the perfect lamp is both funny and terrifying. The impulse is toward an ever-receding ideal: the perfect striped cushion; a life so full that fear and anxiety can be kept at bay. Nature’s little joke on us is that the original object of desire isn’t so much fun when we get it, so unless we can up the stakes all the time, we can’t get that burst of internal fireworks we call happiness. And upping the stakes, in life as in Vegas, can have serious consequences. Recently, Wax found herself in the absurd position of being interviewed and making TV shows about depression while simultaneously trying to hide the fact that she was living with it too. Assailed by what she calls “constant hurricanes of depression,” she finally decided to do something about it and enrolled in a Master’s course at the University of Oxford. First principles: getting to know the brain. “This remarkable organ in our heads holds infinite wisdom but so few of us know how to use it,” she realised. “It’s similar to having a Ferrari but no one gave you the keys.” The knowledge and understanding of the brain she gained, in particular how mindfulness-based cognitive therapy can be used to rewire brains prone to illness, form the basis of Sane New World. We are our own walking pharmacies shooting ourselves up with homemade chemicals. This constant need for a fix to make you feel good prompts you to pursue rewards over and over again and strengthens the behavior that made you want to get them in the first place. It’s a vicious circle. Fortunately, to extend the drug metaphor, there’s hope for rehabilitation. Neuroplasticity is the idea that neural pathways can change or be changed depending on environmental or behavioral changes. This is central to mindfulness, which involves adopting a more circumspect, detached attitude toward one’s own emotions. When you feel knee-deep in a negative mood, it’s not only the mood that causes the ultimate suffering; it’s how you react to it. So not only did an arrow shoot you, which hurts, you send in another one to punish yourself for hurting. Mindfulness is non-judgmental. To practise it is to take away that second arrow. There’s nothing wrong with identifying a negative emotion; you just need to learn not to berate yourself for having it. “Once you stand back,” Wax writes, “you don’t try to make things different; it’s not even about relaxation but about witnessing whatever’s going on without the usual critical commentary.” As a technique, it grew out of efforts to increase pain resistance through refocusing the mind. Wax takes us through numerous exercises one can practise to develop mindfulness; over time, the neural pathways these exercises carve out make it easier and easier to react to adversity with equanimity. The benefits are outrageous. A stronger immune system. Longevity, because meditation stimulates the production of telomerase, an enzyme involved in cell reproduction. Relieved symptoms of a range of conditions, from psoriasis to irritable bowel syndrome. Reduced stress, and an enhanced capacity for dealing with it. Improved cognitive ability. 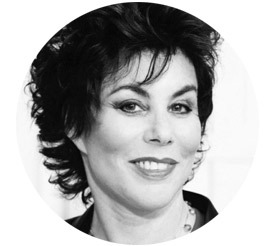 “You eventually tame, calm and befriend that bucking bronco of a mind, gently taking the reins and steering it where you want.” Ruby Wax is convinced, and also very convincing. Even if you’re lucky enough to live a depression-free life, it seems well worth your time to take a step back and practise a little mindfulness. You never know when you might need those muscles. A sane new world awaits. Ruby Wax will appear at our next Seriously Entertaining show, No Satisfaction, at City Winery on November 17. Our other fabulous guests are: Hooman Majd, Dan Povenmire, Sarah Lewis, and Philip Gourevitch. Buy tickets here and follow Ruby on Twitter here.